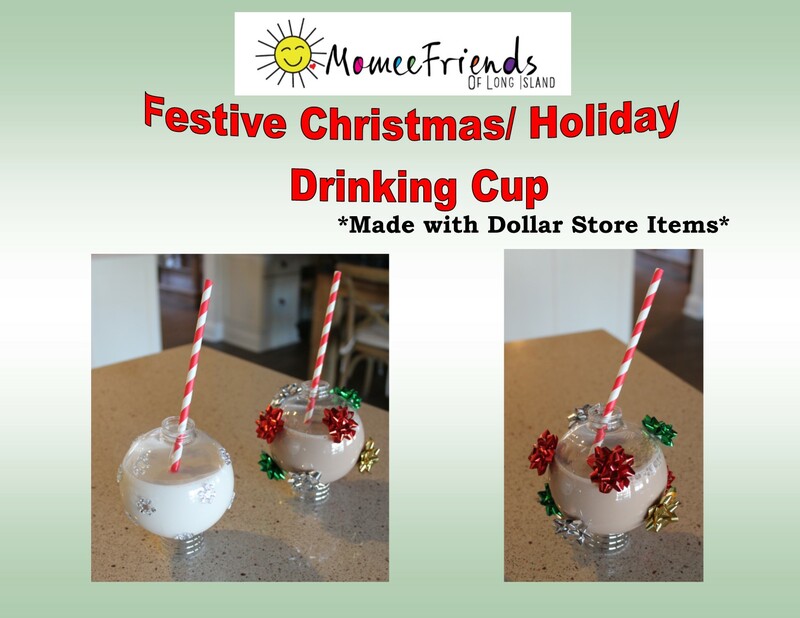 I absolutely love these plastic ornament glasses that you can create with items from your local dollar store. 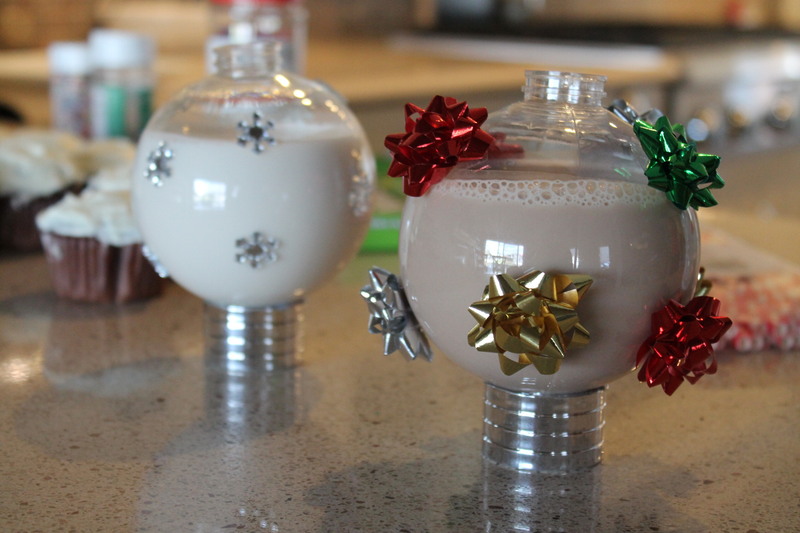 These DIY Festive glasses are perfect for an Ugly Sweater Holiday party! 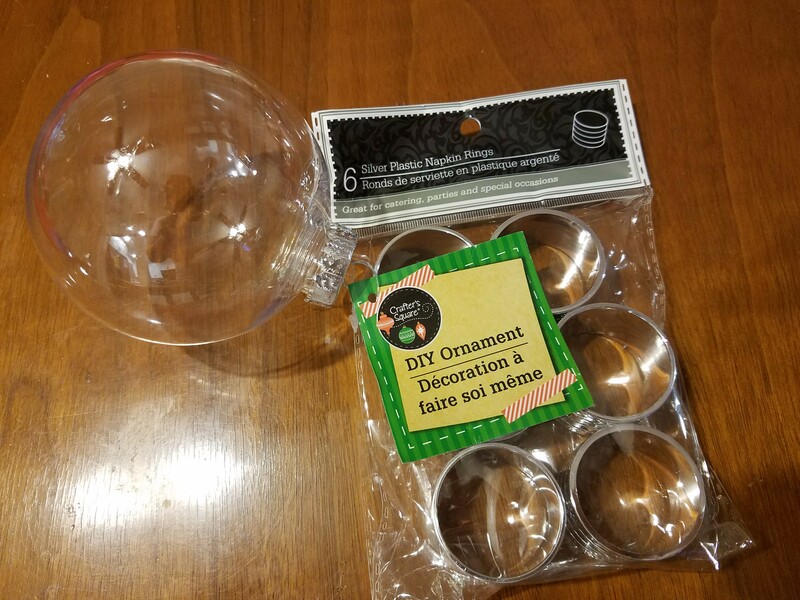 Crazy glue the napkin ring to the bottom of the plastic ornament. Decorate with small bows or stickers. 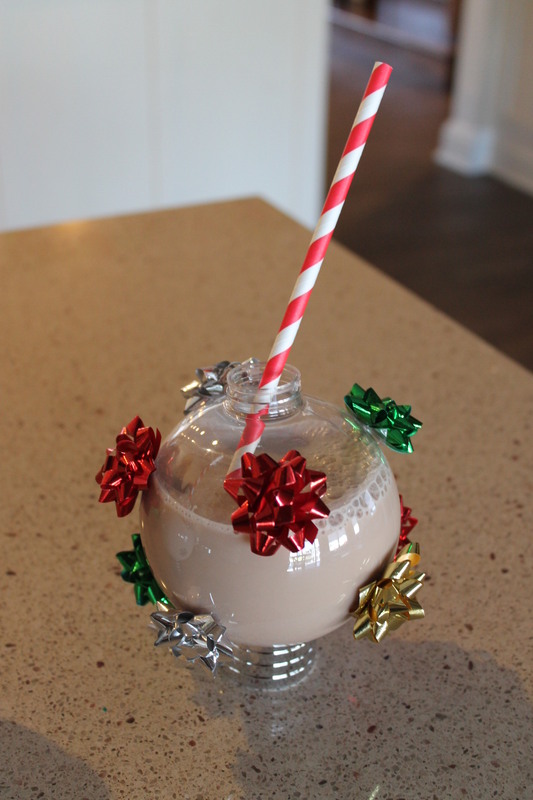 Then, add a festive straw to complete your holiday festive DIY drinking cup. 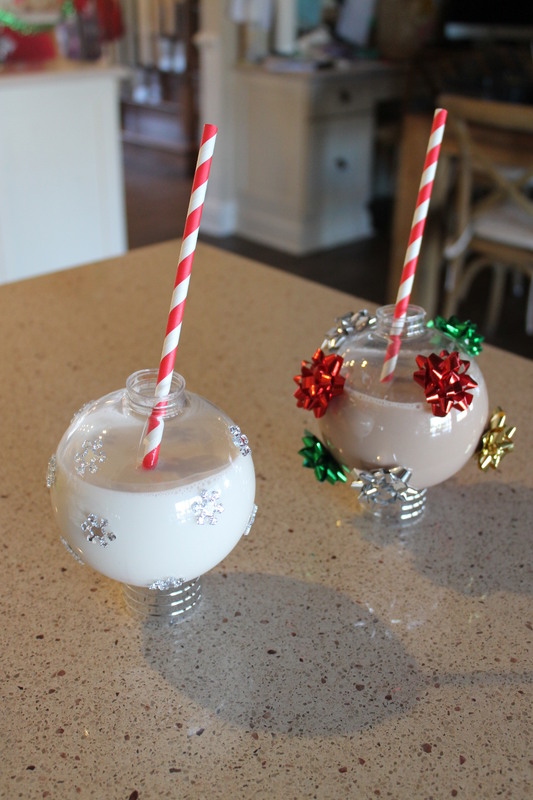 These are a one time use drinking glass because you really can not wash the glass with the bows on it. 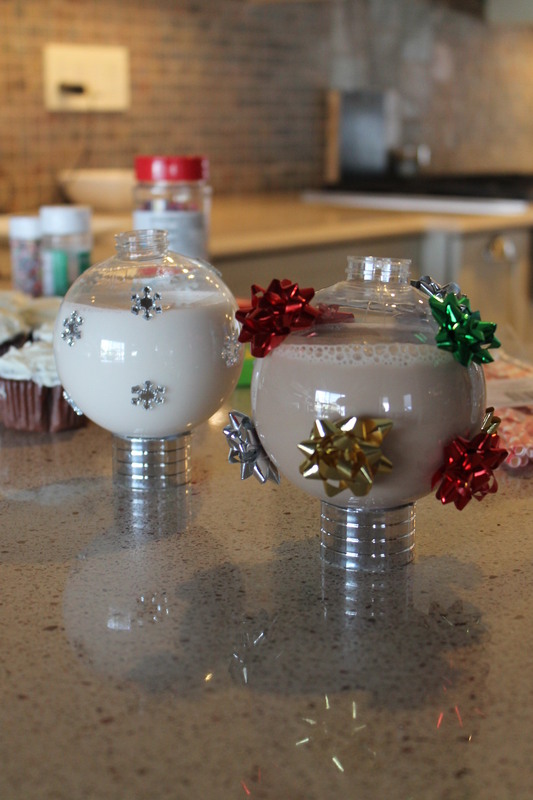 But, they are too cute not to put out for a one time use for your themed party! 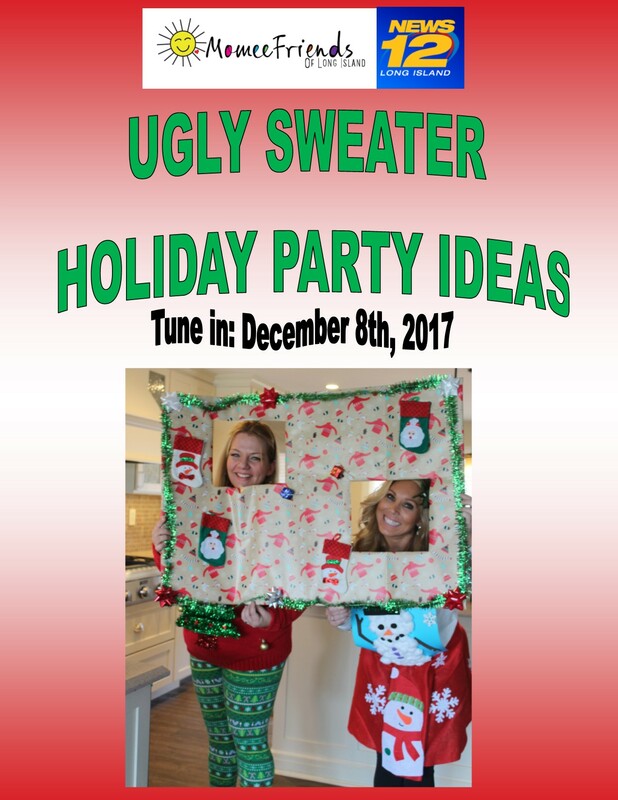 WE HOPE YOU HAVE FUN AT YOUR HOLIDAY PARTY!